Great American Cookies is bringing the magic to your next big event! 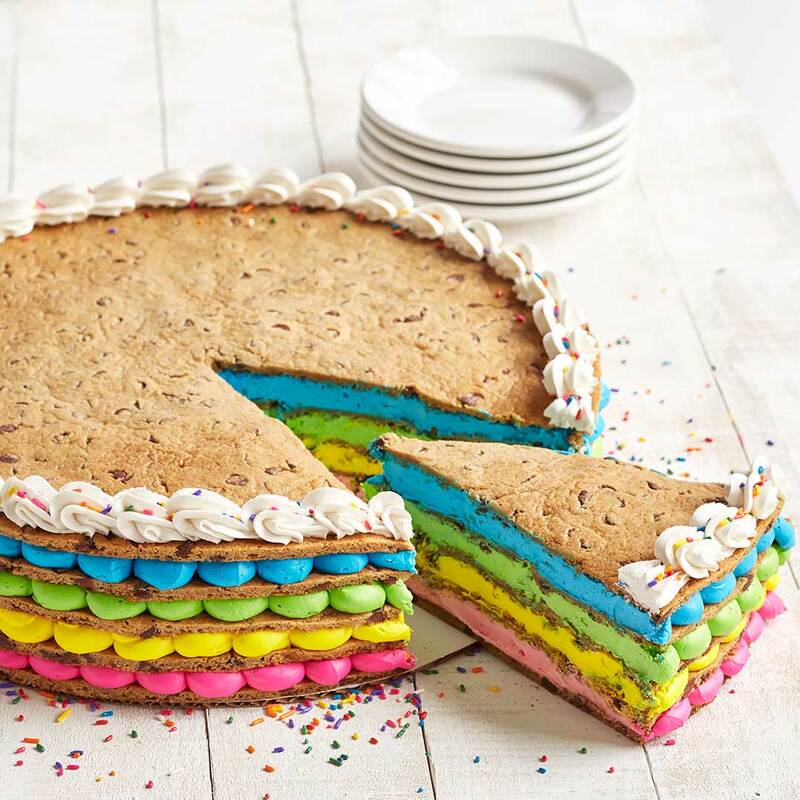 Try our NEW Unicorn Cake with layers of rainbow icing, or customize with your favorite icing colors and Cookie Cake flavors. Available in 16″ round, 16″ square and large heart shapes. Online orders require a 24 hour lead time. Cake flavors others than Original Chocolate Chip are available for an additional charge subject to availability. Unicorn Cake available in participating stores 11/1/18.